8 Wonderful Free Kindle History Books for Thursday! The Memoirs of General Ulysses S. Grant, Part 6. by Ulysses S. (Ulysses Simpson) Grant. Price: Free. Genre: History, Nonfiction, Memoirs. Rated: 5 stars on 4 Reviews. 236 pages. ASIN: B0082PG7AC. *Cold Silence of Deception (A John Jacobs Thriller Book 1) by Eric Redmon. Price: Free. Genre: History, Americas, United States, 21st Century. Rated: 4.9 stars on 14 Reviews. 432 pages. ASIN: B072Z7F31Y. *A Texas Ranger by N. A. Jennings. Price: Free. Genre: Biographies & Memoirs, Specific Groups, Crime & Criminals, True Crime, History, Americas, Latin America, Mexico. Rated: 4.6 stars on 14 Reviews. 98 pages. ASIN: B0739HZ48K. Posted on June 30, 2017 Author KibetCategories Free Kindle History Books, HIstorical, HIstory, Military, travel, WarLeave a comment on 8 Wonderful Free Kindle History Books for Thursday! 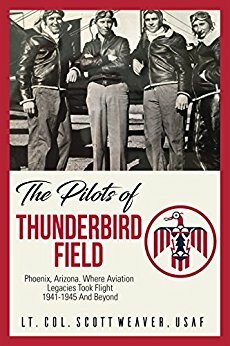 *The Pilots of Thunderbird Field – Where Aviation Legacies Took Flight. 1941-1945 and Beyond. (Deal, Not Free) by Scott Weaver. Price: $0.99. Genre: Aviation History Deal, Sponsor, Family History, 3 Generations of American Fighter Pilots. Rated: 4.9 stars on 21 Reviews. 179 pages. ASIN: B06Y1899S6. Please leave a Review on Kindle Store. Scott Weaver: For every comment made, Good, Bad or Indifferent, I will proudly donate $1 to the Folds of Honor Scholarship fund. The Age of Big Business; a chronicle of the captains of industry by Burton Jesse Hendrick. Price: Free. Genre: History, Americas, United States. Rated: 4.3 stars on 4 Reviews. 74 pages. ASIN: B0082PDG0G. Posted on June 29, 2017 Author KibetCategories Free Kindle History Books, HIstorical, HIstoryLeave a comment on Kindle History Deals for Wednesday! *The Pilots of Thunderbird Field – Where Aviation Legacies Took Flight. 1941-1945 and Beyond. (Deal, Not Free) by Scott Weaver. Price: $0.99. Genre: Non Fiction Book Deal, Sponsor, History. Rated: 4.9 stars on 21 Reviews. 179 pages. ASIN: B06Y1899S6. Please leave a Review on Kindle Store. Scott Weaver: For every comment made, Good, Bad or Indifferent, I will proudly donate $1 to the Folds of Honor Scholarship fund. Slave Narrative Six Pack – Uncle Tom’s Cabin, Twelve Years A Slave, Journal of a Residence on a Georgian Plantation, The Life of Olaudah Equiano, William … (Slave Narrative Six Pack Boxset Book 1) by Harriet Beecher Stowe, Solomon Northup. Price: Free. Genre: History, Africa, Race Relations, Discrimination & Racism. Rated: 4.4 stars on 12 Reviews. 1389 pages. ASIN: B013C70KLQ. Stoic Six Pack 5 – The Cynics: An Introduction to Cynic Philosophy, The Moral Sayings of Publius Syrus, Life of Antisthenes, The Symposium (Book IV), Life of Diogenes and Life of Crates (Illustrated) by Diogenes Laërtius, John MacCunn. Price: Free. Genre: History, Ancient Civilizations, Greece. Rated: 4.1 stars on 12 Reviews. 96 pages. ASIN: B014MWH3QU. Posted on June 28, 2017 June 28, 2017 Author KibetCategories Free Kindle History Books, HIstorical, HIstoryLeave a comment on Kindle History Deals for Tuesday!